The practice of nearshoring has been on the rise in recent years in both domestic and multinational companies with operations in the US. Historically one has associated low-cost production regions with Asia (typically China, Vietnam, Philippines, etc.) where they would leverage the advantages boasted by this region to cut production cost and ship products back to the US for final assembly or distribution. Now why is this? Well the aforementioned regions have historically boasted well below market average wage rates. In addition raw materials are readily available to many Asian regions (China as a good example) and there is an abundance of skilled labor. Utility costs and other overhead fees outside of labor have also been well below that of North America and other European countries. However, a shift is occurring in many industries where more companies are looking towards Mexico as the new low cost production partner considering the newly developed benefits. Post 2000, China’s wage rates have been steadily increasing due to the economic and infrastructural advances made by the country – skilled laborers are now demanding higher wages. Conversely Mexico’s wage rates have remained relatively stagnant during the same time period. Many studies show that the average Mexican wage rate has fallen below that of China. The shorter lead times and economic advantages posed by the NAFTA is another factor that makes bringing foreign production “back home” to the US more attractive. I’ve outlined in detail the history and motivations to nearshoring in a previous publication found here. Speaking more speculatively I would like to share some thoughts regarding what this movement means, and where it will be going in the future. China historically held strict restrictions and barriers against entrepreneurship and foreign investment/trade – especially as it applies to the manufacturing industry. With the relaxation of restrictions in the 1990’s as China realized the potential benefits of foreign investment came the first of many foreign companies looking to take advantage of China’s abundant raw materials and cheap, skilled labor. This untapped market quickly took off with the boom of electronics production seen in the 90’s. Since the explosion in the Chinese outsourcing China’s infrastructure has advanced in suit, along with their standard of living, median income and GDP output. With this comes a proportionate raise in wages, improvement in working conditions and regulations, more advanced technology and robotics, and a general improvement in working conditions. China has essentially closed the gap on a lot of the pre-existing conditions that allowed for the wage disparity to persist through the 1990’s to early 2000’s. This fact, coupled with the prevailing challenges that outsourcing to China represents (i.e. long lead times, communication barriers, time zone difference, intellectual property integrity, etc. ), have led to the phenomenon of nearshoring. 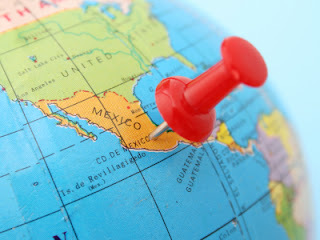 In the near future I anticipate the nearshoring trend to continue in terms of manufacturing operations moving to Mexico and other regions closer to the domestic US as the economic advantage to outsource to “low cost” countries decreases. Eventually I anticipate some manufacturing operations to even move back to the US since Mexico also poses some challenges A compared to domestic US operations (i.e. language barriers, lack of business development/sales in supplier organizational structures, etc.). You can read more about nearshoring challenges and warnings here.